We want to unleash the potential beauty and fascination of globes and the world around us. We're creating snapspheres based on your 360° images; on your world - the way you see it! We're also building planetary globes like no other! You can explore the craters of Mars or the mountains of Venus at your fingertips and engage with the Earth's geography like never before. Your 360° photo is your world and your perspective, share it the way you see it. The 360° Snapsphere lets you display your 360° images exactly as you took them. 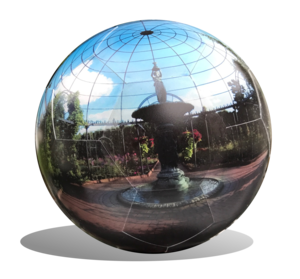 Come explore our Snapshperes and customize them with your images in our Photo Globe Previewer App!